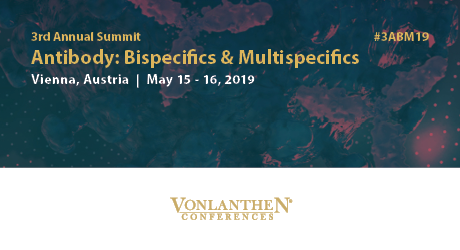 We are pleased to invite you to the 3rd Annual Antibody Summit: Biscpecifics & Multispecifics scheduled for May 15 – 16, 2019 in Vienna, Austria. This premier B2B event provides the appropriate platform to engage and discuss ideas with your fellow peers, while facilitating a professional atmosphere and environment for good company representation and development. The Summit will shed light on the progress in discovery, development and therapeutics of novel protein therapeutics, and the latest breakthrough engineering next-generation antibody formats. It is an honour and privilege to invite you to participate in this Summit. We look forward to welcoming you in Vienna in May!